You want to start an online business, but first, you have to find the right product to sell. That is if you want to have a product-based business. Although even with a service-based business, you're still selling a product; only that product is your service! So we're going to break this article down into three parts. Even though this isn't necessary to sell a product, people by nature are usually better at selling things they like, enjoy, or use themselves. If you absolutely hate a certain type of makeup, fashion, or home decor, then you probably won't be the best person to sell it. Good sales happen; naturally, it's like recommending a great product to a good friend. It's kind of hard to recommend something that you don't like. You do have to think about more than just your interests because even though something might interest you, it has to be something that other people want as well. Researching the market to make sure there is a need or desire for your product is a must-do, especially if you're purchasing inventory. The worst thing to have is a closet or garage full of stuff that no one wants. Look at trends and what's popular. Research online to see if there are other businesses selling the same products and if they've been successful. Google is your best friend here. Research, research, and then do more research! Your decision about where to sell is going to be primarily decided by your choice of product. Although some platforms allow you to sell anything, some have specific requirements. For example, Etsy only allows handmade goods that you've made yourself, plus vintage and craft supplies. You will need to decide between having a brick and mortar location or selling online only. Most people that sell products nowadays opt for selling online as the costs of having a brick and mortar location are much higher. But there are places you can sell such as local markets and craft fairs that would allow you to get your handmade products in front of an audience. Many people who do this, sell products that they love to make, be it sewn clothing, crocheted items, jewelry, or even food. If you've looked at your interests and have done market research, you could decide to make your products. There are many sites available that allow you to sell your products, as well as local options that might be a good fit. Learn more about places to sell your handmade products here. If creating products just isn't your thing, no worries! There are tons of people selling products made, designed, or created by others, and they're doing just fine. Sites like Alibaba are great if you're going to sell physical products either online or at a brick and mortar storefront. If you're looking to sell on Amazon, consider the Amazon FBA (fulfillment by Amazon) program. You can find products at garage sales, clearance departments, and shop online sales. See one mom's journey to success on Amazon here. If the idea of an online boutique excites you but you don't have the funds to source products and carry inventory, dropshipping is something I highly recommend. It takes work to get it going, as you have to find companies that are willing to ship the products you want to carry directly to the customer. Once it's all set up, management is easy because you simply accept orders and never touch the product yourself. You can even pay for the product after the customer pays you, so there's no out-of-pocket expense for you. One drawback is that you have no control over shipping and product quality, so you're at the mercy of another company. This can make it difficult to make customers happy if something goes wrong such as a delay in shipping or a problem with the product. It's wise to research and vet your company thoroughly before entering into business with them. It's been said that the quickest way to make money online is by offering a service. 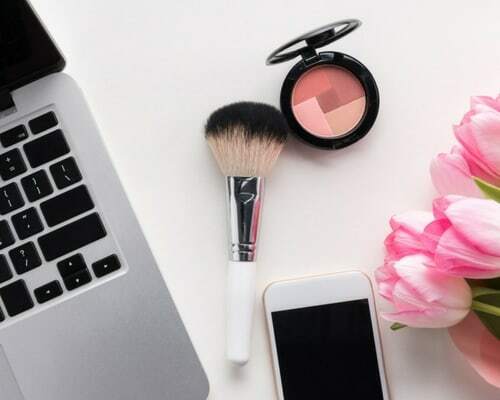 Even though you can eventually make money (and good money) with blogging, affiliate marketing, or even selling products, all of these take time to build and you typically don't see money coming in right out of the gate. (Note that you can with a product-based business if you already have an audience; otherwise, you will still have to do marketing to get people to visit your website). But how do you decide which service(s) to offer? If you already have a job in PR or marketing, then that's a great place to start. You can use the skills you are already using in your career to offer those same services to clients and customers. Many full-time employees do this on the side (side hustles are becoming the norm nowadays) in the hopes that they will earn enough to leave their full-time job and branch out entirely on their own. Maybe you aren't using your talents in your everyday job, but you have skills in which you excel. This would be the perfect area to sell your services and start a business. Have you always been a great writer or a talented artist? Are you super organized and love to work with people? These days people want more and more to do what they love, and you see many artists and writers following their own paths and creating success for themselves by starting a business. If you love to learn and are up for a challenge, choosing a service that you have always wanted to try could be just the thing for you. But note, it's best to make sure you learn as much as possible about the topic and try to get a little experience before you start reaching out to prospective clients. Most will want to see your previous work or work history. Although I have seen people obtain great gigs with no prior experience, so don't be afraid to try. Not sure how to get started with your service-based business? Here are 12 platforms that will help you make money by selling your expertise. 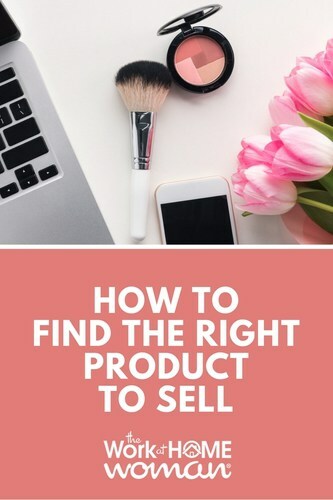 I hope that these tips will help you in your search to find the right product to sell. Have tips that worked or didn't work for you? We'd love to hear about them in the comments! Hi I’m Sydney, the accounts manager over at LexAnd7th.com . I read your post with great interest because I am a proud member of a tribe of WAH mothers creating handcrafted jewelry for wholesale and drop shipping. All the ladies over here at LexAnd7th know what a true struggle it can be to find work from home and what an even bigger struggle it can be starting a sales business. Your article does a great job at putting together some of the important things to consider for those brave entrepreneurs interested in selling online. Obviously, we think drop shipping is a great way for someone with low start-up funds to test the waters. We offer great profit margins, no fee to sellers and reliable shipping. How are you doing today? I am so Blessed. Thank you for asking. I would like to know more about your dropped shipping…for home crafted jewelry? I make my own jewelry and sell it to friends and family. I have never sold it to anyone else. And I don’t know a business license. Because, I am not really sure other ladies would like my jewelry. That’s just my opinion.